Marfa Public Radio has won nine regional Edward R. Murrow Awards from the Radio Television Digital News Association (RTDNA) for excellence in electronic journalism. It’s the highest number of awards the station has received since its founding in 2005. Excellence in Writing: “For Years Texans Ranched in Lobo. Now it’s Boarded up and Owned by Germans” by Carlos Morales. Overall Excellence: Our submission for Overall Excellence included stories ranging from the Ponderosa Pine’s return to West Texas to the growing cost of Adobe-home appraisals in Marfa. 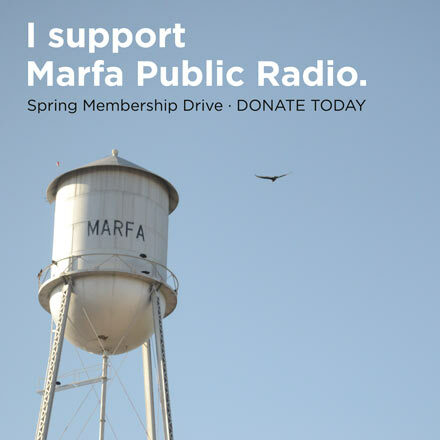 Since 2011, Marfa Public Radio has received 37 Regional Murrow Awards. Thanks to all our donating members who make this work possible.